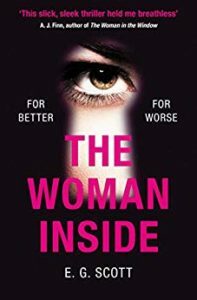 I’m delighted to be reviewing The Woman Inside by E.G. 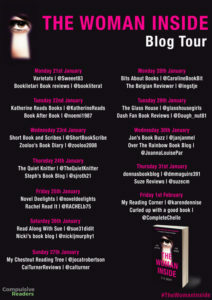 Scott for the blog tour today. My thanks to Tracy Fenton for the place on the tour and to Trapeze Books for providing a review copy via Netgalley. The Woman Inside is an intriguing psychological thriller, primarily concerned with betrayal and revenge. There are multiple narrators and most of them are unreliable. 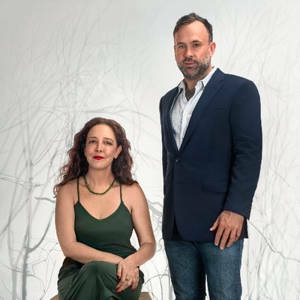 Rebecca and Paul Campbell have been together for two decades and have a good life but as the book begins cracks are starting to show. Rebecca is addicted to pills which affects her judgement and makes her paranoid and lacking in concentration. Both of them have problem pasts, something which has always brought them together before. The two missing women are what really start to pull them apart though, as the police start to investigate links between them and the Campbells. I did struggle ever so slightly at the beginning of the book as I felt like I couldn’t quite get a handle on what was happening, but once I was into the swing of it I really enjoyed it and found it compelling reading to watch the couple start to fall apart. There are lots of twists and turns, little things suddenly revealed to me as I read along. Some meant that an earlier part of the story slotted into place and others were a real surprise. And that ending? Well, let’s just say I did not expect that! The Woman Inside is a delightfully complex and tense thriller, with difficult to like characters and tons of ups and downs. E. G. Scott is a pseudonym for two NYC-based writers, one a publishing professional and one a screenwriter.